They are also known as toss pillows. They are small decorative types of pillows that are usually placed on sofa sets or arm chairs but they can also be placed on beds and floors. Throw pillows even though small, have a great significance in the overall appearance of a room. They can completely change the look of an entire room or space, thus updating the room for the season. One of the best features of throw pillows is that they require very little investment in terms of time and money. 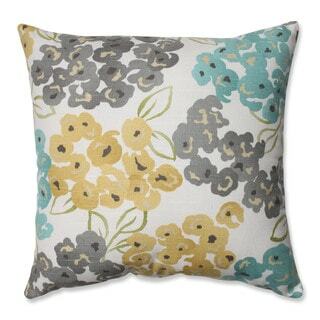 Toss pillows are available in numerous shapes and sizes. If you want a dynamic look, try to make the shape and sizes of the throat pillows on one piece of furniture different. · Square: these are the most common shape of throw pillows. The most common sizes are 16, 18 and 20 inch versions but also there are other smaller or larger sixes that are available. if you love changing your décor frequently, it would be better if you stick to same size square toss pillows, then you’ll have an easy time by replacing the covers whenever you feel like. · Round: these are not as common as square throw pillows but are a very good choice for balancing the straight lines of rectangular and square pillows; they give a very beautiful appearance. · Lumber: these throw pillows have an oblong rectangular shape. Initially they were meant for back support but now they are commonly used for ornamental purposes. · Fur/faux fur: fur especially the Mongolian wool has been widely and commonly used lately because of the luxurious look they add to the furniture. Their biggest disadvantage is that they are mostly guaranteed to be dry-cleaned only. · Wool: this fabric gives of a winter vibe or an alpine vibe. It is very suitable for mountain retreat areas and also for colder months. · Polyester: synthetic polyester is a cheap fill option especially if the throw pillows are for decorating purposes only. The polyester should also be tightly packed. · Down: this fill is softer and lasts longer than polyester but is more expensive. They are more comfortable and can be easily fluffed back into shape, so they are best for pillows that have lots of use. · Foam: this fill holds shape than either polyester and down. It is most common for bolsters or round throw pillows. · If you decide to mix prints, have a plan. Stick to a common color palette in order to ensure a cohesive appearance. The hues of the pillows should at least relate to the color scheme of the space in consideration. Also you should pay attention to scale if you decide to mix prints, if your curtains and rugs have different scale prints you can choose a toss pillow that agrees with both of them on a certain degree. · Use colors that are in the surrounding: when choosing throw pillows it’s better when you choose colors from the surrounding furniture or textiles that are in the room, this helps to tie the room together. You can break up the sea of print and color by using solids or neutrals, these give the eyes a place to rest. Look for tightly sewn seams, thick fabric covers. Avoid sparse fill or protruding feathers in down pillows since it indicates losing fill. The type of throw pillow you buy determines how you care for it those with covers are easier to care for than those without. It’s no secret that interior home decoration can be really expensive. Anyone of us would love to live in a stylish house, yet we often give up on the idea when we see the price tags. Even if we’re okay with the costs, the choice is often far from being wide. Therefore, while some things should be delegated to professionals, there are other ones you can easily do on your own. Bed headboards are one of those little d etails that make a great impact on the look of your room. Your room might have top-notch beds, expensive furniture and stylish rugs, yet it still won’t feel complete without a proper headboard. Every bedroom is different, thus every case needs a headboard that would fit the design. Unlikely furniture, headboards might be easily crafted at home. It just takes some creativity, artistic taste and patience. Now, before you step back, let me assure you that you don’t need to be like Leonardo DaVinci. All you need to have is a basic idea of what you would like to see above your bed. Should it be dark or light? Big or small? Colored or monochrome? Wood is one of the most common materials used for headboards. In fact, wood surely was the first thing that came to your mind. There are many DIY wood designs you can think of, and you don’t need to be a carpenter in order to make most of them. For instance, you could use a weathered shutter as a great headboard. This would give your room a rather exotic, cottage feeling. Wood is quite versatile – you can easily cut it, glue and paint it. It’s usually lightweight, thus you won’t have problems attaching it. Other ideas include using window frames, doors, fireplace mantels, barn wood and pallets. Any of those items can be acquired virtually for free and often require just a couple of tweaks. Fabric is soft, lightweight and come in many colors. If you’re into DIY yet have little free time to craft something of wood, then fabric might be the perfect solution for you. It looks elegant, gorgeous and opulent, and it’s easy to install. Depending on your tastes, you can use common fabric, laces or even quilts. Curtains might work as well, and they usually don’t cost a lot. Metal isn’t too popular for two reasons: it’s not too easy to work with it and it does not fit many people’s bedroom styles. Nevertheless, what is a con for others might be a pro for you. If you want to have an industrial- or shabby chic-style bedroom, then you might want to consider metal. Sometimes, a sheet of corrugated metal might be that element you were looking for. It’s all about experimentation. On the other hand, metal headboards might also look cozy and even cute. If you’re of the romantic kind, you might use a piece of wrought iron gate. There are several metal fence designs that come with flowers and other decorations. The elegance of rose petals, combined with the coldness of metal will definitely give your bedroom a unique feeling. Wood, metal and fabric are great, but what if you feel limited by those materials? Free-form headboards combine several materials and offer virtually endless designing possibilities. You can use anything to create a breathtaking headboard. In fact, it might easily become the focal point of your room, dragging all the attention of your visitors. For instance, you can stack or attack colored pillows to achieve a beautiful pattern. Or use driftwood or paddles to achieve a coastal feeling. What about book? If you’re into the shabby-chic style, you might create a mini-bookshelf with vintage books. The possibilities are endless! “I dream my painting and then I paint my dream” – Vincent Van Gogh. People say that having paintings in the bedroom contributes to better dreams. 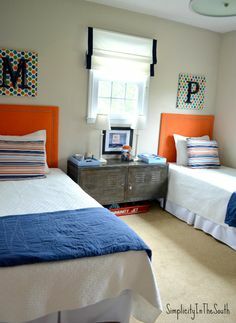 Maybe it’s a good idea to use their words as an idea for your bed headboard! You can attach a piece of canvas to the wall behind your bed and use it as a base where to fix different kinds of arts. The possibilities are endless: paintings, photographs, quotes and other pieces of art. What’s also great about art-based headboards is that you can easily change their position, which leaves more room for experimentation. There are many ways you can create a unique, artistic and stylish headboard on a budget. Good news is: you don’t need to be an experienced artist or designer to achieve that. Just take your time, allow yourself to experiment and enjoy the process. While we’ve mentioned one of the top popular DIY headboards ideas, there are more to them. Do you know or use any? Please share it in the comments below!